Shapes of Bellows Available: Circular, Rectangular, Square Bellows, Hexagon Bellows, C type Bellows, Camera Type, Roller Guard. 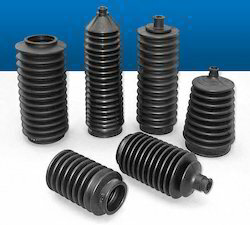 We are among the preeminent names of the industry that manufacture, export and supply a massive assemblage of Butyl Rubber Bellows. Offered assortment is manufactured in accordance with the predefined industry guidelines. 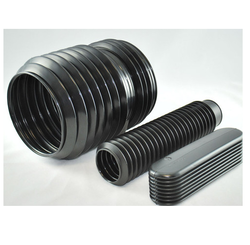 Owing to the high strength and supreme durability, these butyl rubber bellows are vastly acclaimed. - Materials: NR, NBR, EPDM, CR etc. Construction: As per customer's requirement. We are offering Bellow Boots to our clients. and also available in the TPE/TPV material.